If you’ve ever found yourself saying (shouting?) to your kids, “This is why we can’t have nice things!” today’s post is for you. We’re here to tell you that it is indeed possible to have a “nice” sofa that’s also family friendly. Armed with a few tips, it’s easy to find something not only durable, comfortable and stain resistant but also in line with your grown-up style. Our York sofa has been around since 1997 for a reason: it’s so comfortable! If you have a family, everyone needs to be comfortable and we know that’s a tall order. We have lots of sofas with proportions to keep everyone happy. Not too short, not too deep, not too soft…just right. Our family-friendly sofas share these magic proportions, but that’s just to get you started with ideas. 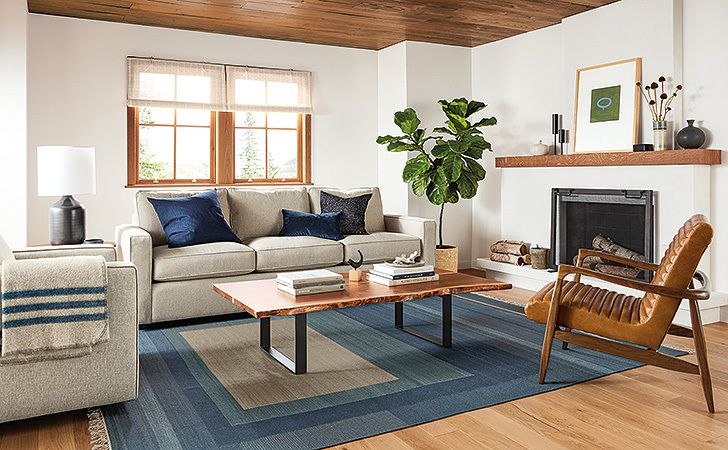 Use our Sofa Comfort Guide to help you compare sofas and figure out which one will be most comfortable for your family. You can also look for the comfort icons for seat depth, height and firmness on every sofa page. Jasper’s family-friendly fabric, Tepic, is perfect for life with kids and pets. Its texture and color variation helps hide stains, plus it’s easy to clean. Use our Fabric Guide to see our recommendations for kid-friendly fabrics. We offer a great range of color and textures, and every fabric in our kid-friendly list resists rips and tears and is stain resistant. Our family-friendly sofas are stocked in some of our recommended fabrics, or you can customize any sofa in any fabric you want. Don’t forget about leather—it’s super durable and semi-aniline finished leathers have a protective finish that’s easy to wipe clean when your little ones spill. Check out our Leather Guide for family-friendly leather recommendations. Ian’s tight-back design always looks tidy. The cushions can make a big difference in how your sofa looks and feels over time. We recommend loose (unattached) seat cushions and back cushions for families for two reasons. 1) Having the option to flip and rotate the cushions helps them last longer, especially if your kids like to jump on the sofa. 2) If you end up with a bad stain or a snag in the fabric, you can flip a cushion over to hide it. Another tip: cushions with down in the them respond really well to a good plumping, going right back into shape. But you’ll need to fluff them pretty often, just like you would down pillows on your bed. If that kind of maintenance isn’t your thing, consider a sofa with foam cushions, which hold their shape longer (but don’t fluff up as nicely), or a tight (attached) back for a tidy look. 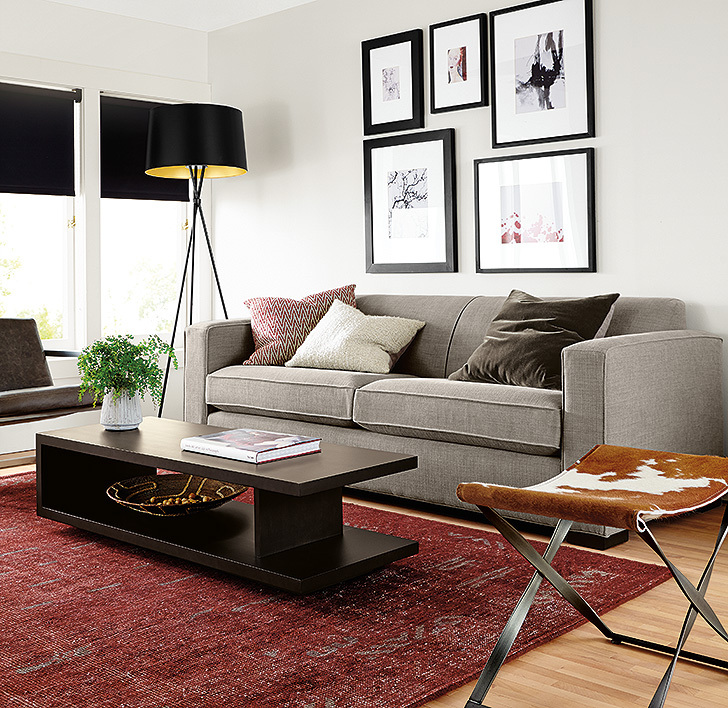 For example, our Ian sofa combines foam cushions and a tight back for less maintenance. Need more helpful tips for finding the right sofa for your family? Ask our Design Associates! Their personalized ideas and advice are always available to you for free. I have been looking for a sofa with a back high enough to support my head when I lean back. The only ones I find are poorly designed and ugly! Do you have any suggestions? We are fairly short people, 5’2″ to 5’6″, so we don’t need deep seats or extremely high backs. Thanks!